When the weather teases us Louisiana folks with a hint of cool weather, I break out the big pot and get started on making soup. One of my favorites is Beef and Barley soup, made with lots of veggies and a secret ingredient that makes it yummy. There’s no one right way to make this soup, and I vary it based upon what’s in my pantry. But I always start by browning some stew meat. Once that’s done, I add beef broth or water, dried barley, a variety of vegetables (fresh, canned, and/or frozen), salt and pepper, and my secret ingredient. So no recipe, just lots of good goodness in the pot. I stir it all together, add the secret ingredient, taste until satisfied, and then let it all simmer together. Drum roll, please. 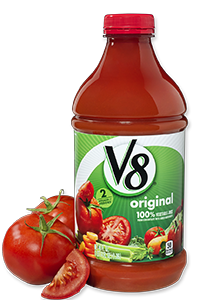 The secret ingredient is plain old V-8 juice. It’s an easy way to add lots of flavor. Give it a try. I think you’ll like it! It was! And it freezes well too. I am sooooo excited, Debbie. I grew up with beef barley soup, too. But mom always called it “wink eye” soup to make it kid friendly. Cooked barley looks like a winking eye. What a great anecdote! And I bet you kids ate up the “eyes”! you bet Barb grew up on this barley soup…all six always wanted Wink Eye Soup….it is so hardy & comforting, too. Thanks for the memories….Barb’s mom. Isn’t it nice to know the pleasant memories your cooking created? !